Spring is just around the corner and with it comes the warm weather and beautiful flowers. This can present a challenge for the smokers and lounge wear afficionados among us. A velvet jacket may be too much for these warm evenings. 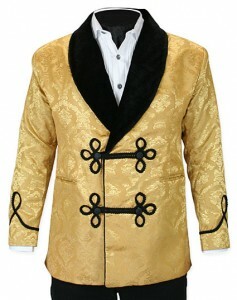 Luckily, we have an entire collection of lightweight brocade smoking jackets in a cavalcade of delectable colors. Ladies will swoon. 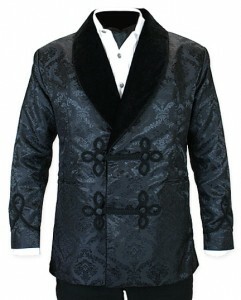 Cut from an opulent swath of brocade fabric, our smoking jackets feature a black velvet shawl collar, two large frog closures, and two inset pockets at the front to stash spectacles or smoking supplies. Can’t decide? Then collect them all! 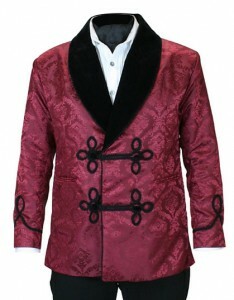 And for those who want the tradition velvet or need the extra warmth try our Vintage Smoking Jacket in Velvet! 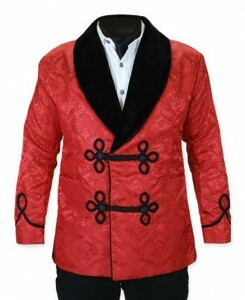 See all of our available colors and accessories in our Vintage Smoking Jacket Collection! 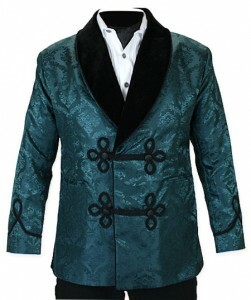 Have you purchased one of our smoking jackets? Then be sure to snap a photo or sit for a portrait and submit it to our Monthly Photo Contest! For Rules and Entry, click here!